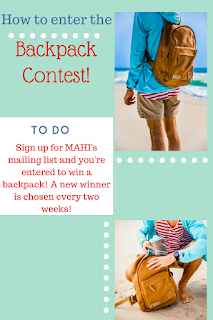 This summer MAHI Leather is hosting a contest where they will be giving away one of their personalized leather backpacks every two weeks! Today I wanted to share how you can enter to win one. 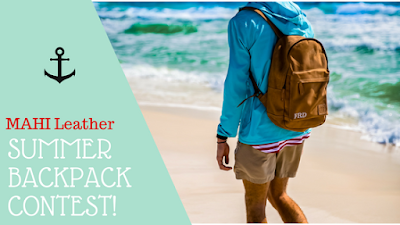 These bags are perfect for summer travels and will be great when school starts again in the fall. This post is sponsored by MAHI but all opinions are honest and my own. I have permission to use all images in this post but they are not my own. To visit the contest page where you can enter to win a backpack click here. To visit their shop where you can see their backpacks click here.